Charles Chadwick of Mavesyn Ridware in Staffordshire inherited the New Hall estate in Sutton Coldfield in 1793, and found that the leases on the various farms were due to expire in 1795. The Farmer at the largest farm, of 138 acres, with its farmhouse at Warren House, was Ephraim Richards; Chadwick thought him “- a slovenly farmer, but will put up with him for a few years - a new tenant would want expensive repairs and alterations to the buildings." Humphrey Brearley Burdett was the tenant of New Hall and its home farm of 72 acres; Chadwick considered him a very indifferent farmer who must “pay up or quit”. He expected Burdett to stay on at New Hall, where Chadwick himself anticipated living some of the time. William Twamley had New Hall Mill and 48 acres - he was “a good tenant” - Henry Swinburne held a house in Coleshill Street “opposite the Lych Gate”, and Thomas Miller had a holding of six and a half acres. Part of Thomas Miller’s holding was some distance away from the rest of the Chadwick land, being four acres of meadow called Byrons Meadow, situated on the corner of Coles Lane and Holland Road (now partly occupied by Holland House School). This was next to the land of Maney Farm, owned by Mrs. Scott, and in 1795 Chadwick proposed to exchange Byrons Meadow for some Scott meadows lying nearer to New Hall. These meadows were part of a larger meadow called Dole Meadow lying to the north of New Hall in the New Hall Valley Country Park, near the back gardens of Bowood End and Musgrave Close. In the Middle Ages meadows were held in common by the members of the community, each person being entitled to reap a certain amount of hay, called a dole. When the open field system died out, these doles were converted to a specific area of land in the meadow which could be bought and sold, and were soon consolidated into larger units. When Mr Scott bought Maney Farm in 1765 it included five doles in Dole Meadow; thirty years later these had been consolidated into two, totalling two and a half acres. An enigmatic entry in the Sutton Parish registers in 1680 is the burial of Richard Byron - a note alongside says “lord”, but this cannot be the Lord Richard Byron who fought for the King at the Battle of Edge Hill, as he is recorded as being buried at Hucknall in1679. Another source, however, lists Thomas Byron as living in Maney in 1663 and 1674, and he is probably the one after whom Byrons Meadow was named. He lived in a humble cottage and would not have owned the meadow, the name more likely arising because it was next to Byron’s house. The exchange between Chadwick and Mrs Scott was completed in June 1797, Mrs. Scott receiving Byrons Meadow of four and a half acres in return for three and a half acres in Dole Meadow and £70. Chadwick added half to Richards’ farm and half to Burdetts, while Byrons Meadow became part of Maney Farm. 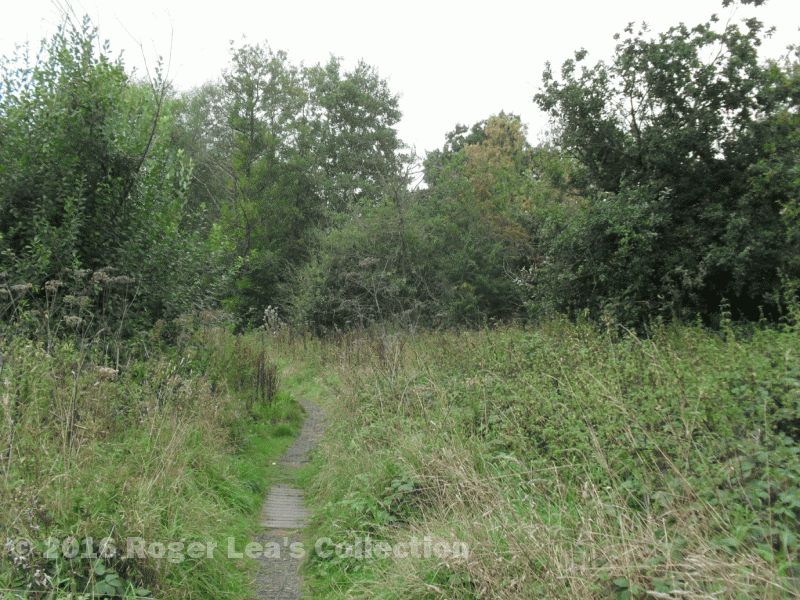 Byrons Meadow was next to a mill; thereafter it became known as Mill Meadow, and the Byrons were forgotten. This path in New Hall Valley Country Park winds across what was a hay meadow called Dole Meadow 200 years ago, now impenetrable scrubland.